Please join us in Washington, D.C. on April 15-18, 2018 as we work with the 115th Congress and the Trump Administration on National Grange policy priorities. Spring is an extremely crowded and busy time in Washington, D.C. Tourists and students from around the country and abroad flock to Washington on spring trips making hotel rooms scarce. Appointments with Representatives and Senators are a challenge to confirm, therefore the National Grange encourages those members who will be attending the 2018 Fly-In to register, reserve hotel rooms, and make Capitol Hill appointments early. Our hotel is the Quality Inn Tysons Corner 1587 Spring Hill Road, Vienna, VA 22182. Phone is 703-448-8020. Our group rate is $109 +12% sales tax per night. The cut-off date to make a reservation at this rate is March 15, 2018. The Quality Inn is located just northwest of the Capital Beltway (I-495) in Vienna, VA. The hotel provides free parking and is just one block from the Metro’s Silver Line for travel to downtown Washington, D.C. The hotel also provides a complimentary full breakfast Monday-Friday 6:30 A.M. – 9:30 A.M. and 7:00 A.M. – 10:00 A.M. on Saturday and Sunday. Please make your reservations directly with the hotel and mention that you would like to book with the National Grange’s block of rooms. Wed., April 18: Finish Capitol Hill appoint. 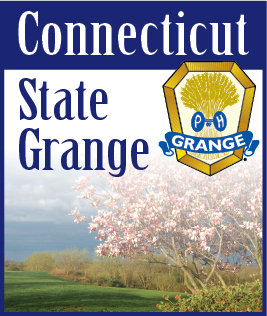 For more information and online registration, visit: www.NationalGrange.org.